The popular Politico blog yesterday invoked the yellow press period of the late 1890s, saying it was a time in American journalism when sensationalism ran wild. In its commentary, Politco likened recent news coverage of the formerly obscure Rev. Terry Jones of Florida, who had threatened a Quran-burning spectacle on September 11, to the story line of Ace in the Hole, a terrific Billy Wilder movie released in 1951. Ace in the Hole starred Kirk Douglas as a jaded newspaper reporter who sought to manipulate coverage of a mining cave-in in New Mexico in a cynical and ultimately failed attempt to restore a career in big-city journalism. But yellow journalism of the late 19th century was much more than merely sensational. It was a lively, provocative, often-swaggering brand of journalism, a genre “well suited to an innovative and expansive time—a period when the United States first projected its military power beyond the Western Hemisphere in a sustained manner,” I wrote in my 2001 book, Yellow Journalism: Puncturing the Myths, Defining the Legacies. Yellow journalism was “keen to adapt and eager to experiment,” I wrote. 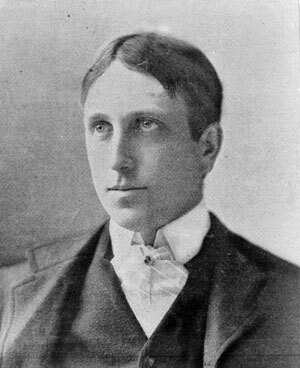 Its practitioners–notably William Randolph Hearst, owner of the New York Journal–took risks, spent lavishly on gathering the news, and generally shook up the field. So it’s quite unfair, and inaccurate, to characterize “yellow journalism” as having been synonymous with the sensational treatment of news. a variety of topics reported on the front page, including news of politics, war, international diplomacy, sports, and society. a tendency to rely on anonymous sources, particularly in dispatches of leading reporters. a penchant for self-promotion, to call attention eagerly to the paper’s accomplishments. This tendency was notably evident in crusades against monopolies and municipal corruption. As defined above and as practiced more than a century ago, yellow journalism, I wrote in the book, “certainly could not be called predictable, boring, or uninspired”—complaints of the sort that are rather common about American newspapers of the early 21st century.